How Much Does Laser Eye Surgery Cost in Australia? It is a lot more affordable than you might think! 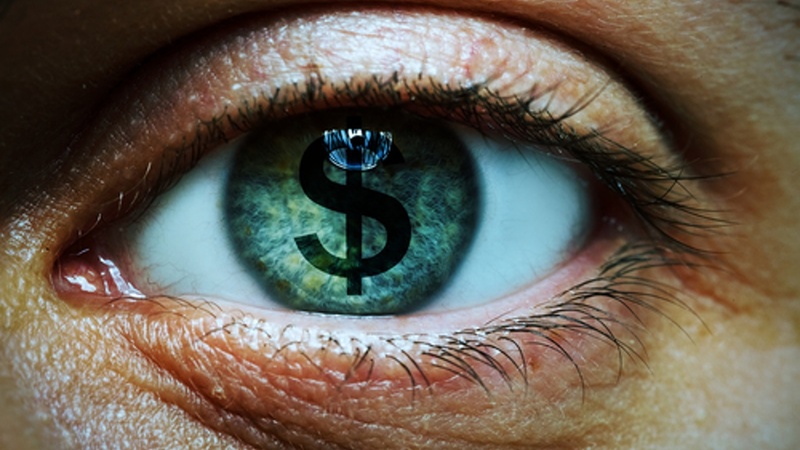 One of the main reasons people don’t proceed with laser eye treatment is COST! You might have thought about getting rid of your glasses and/or contact lenses a thousand times. Every time you go on holiday, get an eye infection, go swimming, break or lose a pair of glasses, have to pay for new contact lens prescription or glasses and the list goes on. Rather than look into it, we just decide it’s too expensive and settle for whatever method we are currently using. The average cost of laser eye treatment in WA, Australia is $6800 to $8000 for both eyes. This price is for the newest third generation SMILE laser eye treatment. A lot of clinics offer interest free finance between 6 months and 2 years to save you paying out thousands in one go. This allows the procedure to be much more affordable and achievable. That’s as little as $65 per week! When enquiring about the cost of laser eye treatment, it’s important to know that some clinics will only quote you the surgeons fee and not the hospital fee. This may lead you to believe that their’s is the most reasonable price you’ve found; but once you attend your consultation and start the process of arranging your procedure, the price can really mount up. 1.Can I please have a quote for SMILE/LASIK surgery per eye? Some clinics do not like to give a price on the phone as they prefer to get the patient through their doors. Once you have attended their clinic, the majority of people do not continue to shop around. Transparency really is key when looking for the right laser eye treatment provider. 2. Is that price inclusive of all hospital fees? Some clinics will only quote you the surgeons fee making their price from first glance, appear to be the most competitive. Most procedures are performed in hospital which will include hospital and anaesthetist fees on top of the surgeons fees! Very misleading as these additional fees can be thousands extra. 3. Does the quote include my aftercare appointments? Aftercare is just as important as the quality of the procedure itself. When having laser eye treatment with a reputable experienced Ophthalmologist, complications are rare. You want to ensure if you do experience a complication, you aren’t going to receive a big bill after seeing the surgeon. Usually, follow ups are included up to the first 6 to 12 months following your procedure. Attendance is very important to confirm your healing and results are on track. 4. Does that include my post-operative eye drops? Post-operative eye drops aren’t usually expensive, anywhere up to $50. In the grand scheme of things, this isn’t a large expense but it is nice to know whether or not your post-operative eye drops will be provided to you on the day of surgery or whether you are required to collect them yourself from a chemist. This can sometimes be confusing and you risk ending up with eye drops that aren’t the specific brand recommended by your Ophthalmologist. The use of eye drops following your laser eye treatment is imperative to your recovery. 5. Is there a cost for future enhancements should I require one? In approximately 2% of cases, the patient requires an enhancement following their first procedure to fine tune the visual result. Your surgeon will advise you of the likelihood of this at your consultation. It is more common for patients with long sight or a high astigmatism to require an enhancement as opposed to those patients with short sight only. Some clinics offer free enhancements for a certain period following your procedure whether that be up to the first 6 months afterwards or 12 months. The longer the better obviously but it is important that this is mentioned not only at your consultation but that it has been confirmed in your surgical consent form before you sign. At Laser Sight Perth, we believe a transparent approach is the best way to achieve trust with our patients. We understand how important it is to build a good relationship with your eye surgeon before your treatment date. Laser Sight Perth offer a surgeon consultation only to ensure the most accurate possible measurements are taken and that all the scans performed are 100% accurate. Highly trained staff will ensure a smooth journey from your first appointment to your last appointment with minimal effort required on your part. A friendly clinic in the heart of Subiaco, WA, is the most accessible location for patients; making appointments quick and easy! At Laser Sight Perth, we do our best to make the procedure as affordable as possible. Not only do we offer INTEREST FREE FINANCE over a maximum of 24 months, but we also include all of your aftercare appointments for the first 6 months post-op, eye drops and we even provide an endorsement letter stating you no longer require spectacles for your drivers license… something very few people would think about which may later be a nuisance.